Yesterday evening(June 28th) Shu Qi hit the red carpet for the Bvlgari dinner & party at Stadio dei Marmi in Rome, Italy. 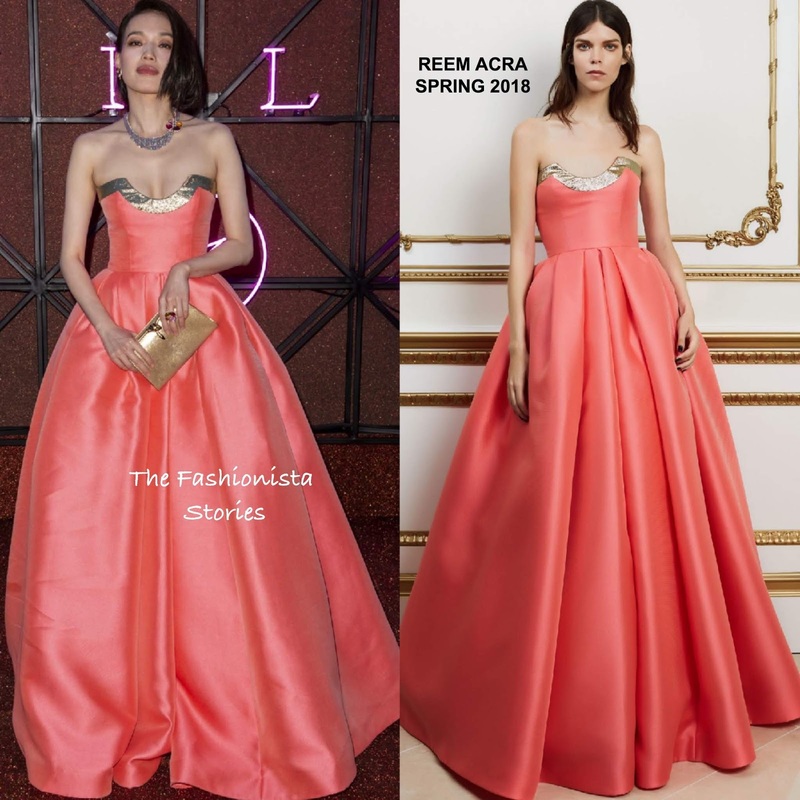 The actress/model posed on the red carpet wearing a REEM ACRA SPRING 2018 coral strapless gown with a contrasting gold neckline and a pleated skirt. Naturally she dressed up her look with jewelry courtesy of Bvlgari which topped off her look along with an complimentary beauty look and a gold clutch. For me, the necklace somewhat clashes with the gold necklace. It's not really working for me. Are you sold on Shu's necklace with this gown?